The On9 Event is up and running for their September round, and it's got gifts too! Nearly every store has a gift for this round, so you'll most definitely want to visit! This fun outfit by Spartin Parx is one of the many great things available this round! It is available in 5 fun prints for both the top and pants, sold separately or as a fatpack with a HUD, and is made to fit Maitreya Lara and Slink Hourglass. These super neat face earrings by Naanaa's are also at On9 now, including 4 metal colors changeable via HUD! You'll certainly be turning heads while wearing these fun and unique earrings! This cute little bob is new by BMS, also at On9 now! Available in 4 texture packs or as a fatpack if you want it all, and is easily resized and adjusted to fit any head perfectly! Poses are always fun to play with, and Kokoro has definitely got some fun ones at On9! You can buy them individually, or as a pack, and with the pack you get a bonus pose too! We mustn't forget nails! 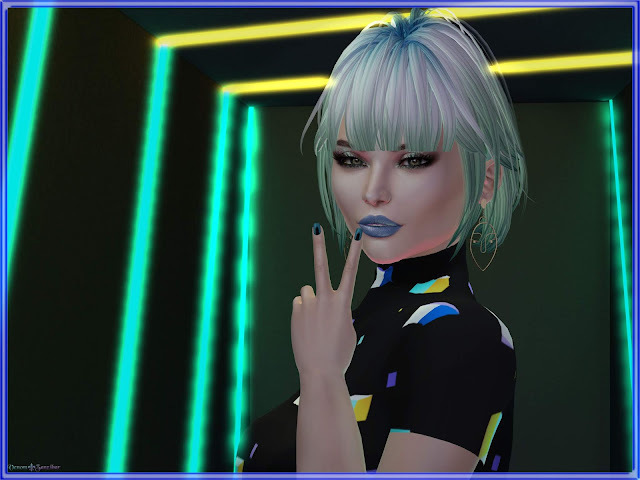 These awesome new nails by Dark Passions - Koffin Nails are available now at Suicide Dollz, including appliers for Maitreya, Omega and Slink, each with 10 color choices.